We have had artificial lungs, artificial hearts, artificial kidneys... but now we also have an artificial larynx. Published in the New England Journal of Medicine in Jan 2017, French researchers described a patient who required the entire voicebox removed (laryngectomy) due to cancer and than implanted with a totally artificial larynx in 2015. This patient is actually the second patient who has undergone artificial laryngeal implantation. The first occurred in 2012. Typically with voicebox removal, a patient will have a permanent hole in the throat through which breathing occurs exclusively. 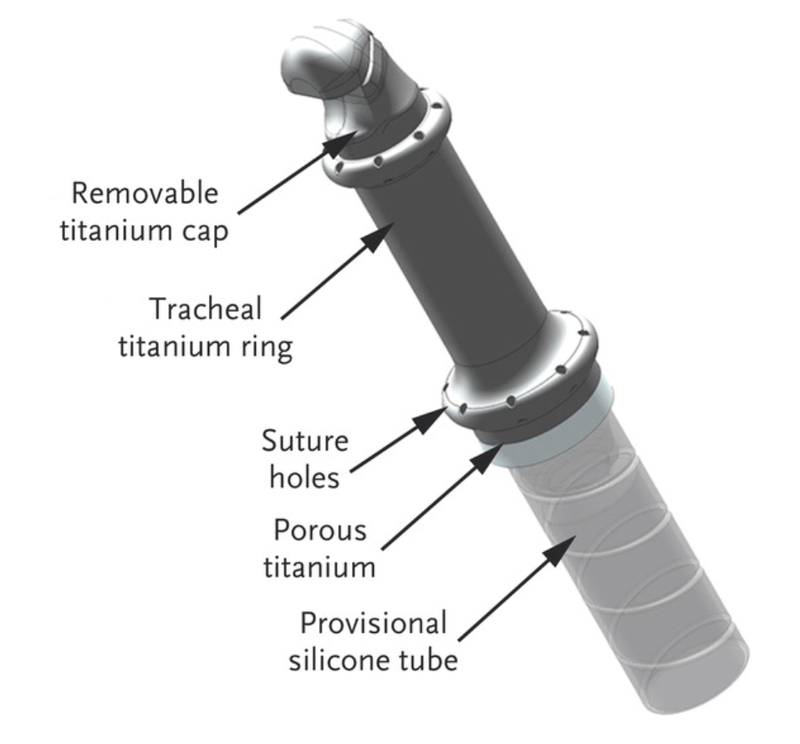 With this procedure, the patient loses the ability to talk and smell (because all the air goes through the hold in the throat rather than nose or mouth). 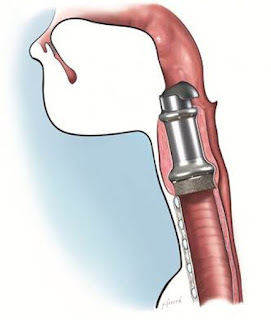 With this artificial larynx, the patient is able to now do both processes the normal way, albeit the voice is at a whisper and some dysphagia is still present. Links to videos are included with the article. Made by Protip Medical, the artificial larynx is made from titanium. Also, available for implantation only in France at this time as far as I know.